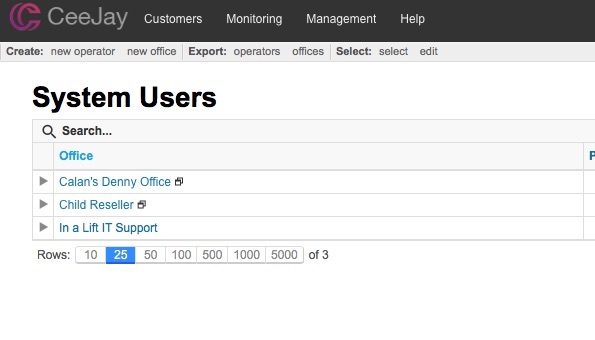 To delete an operator on the Backup Intelligence admin console, click “Manage system users” which will be under the “Management” tab at the top of the console. You will then see the screen below. Click the arrow to the left of the office you want to delete an operator for. Now click the red cross to the right of the account you want to delete. Now click “OK” to confirm.